After several years of preparation and discussion, we are approaching the day when the European Union’s General Data Protection Regulation (GDPR) will come into effect – 25 May 2018. It’s a major change to how data is stored and managed in the digital age, and failure to comply will results in fines of up to €20,000,000 or 4% of an organisation’s annual global turnover, whichever is greater. GDPR has thrown up a number of challenges for many organisations and has placed a particularly onerous burden on smaller and midsized businesses, who generally lack the resources and know-how as to best manage compliance requirements. That’s why we are launching OXIAL GDPR EXPRESS, a new solution that will remove the burden from GDPR and can even turn it into an asset. We believe strongly that compliance is an on-going process and should be managed as such – this applies just as much to GDPR as it does other forms of compliance. So OXIAL GDPR EXPRESS creates a framework to help ensure compliance, now and on-going in the future. The framework identifies 130 activities across 13 categories, all relating to compliance with data protection laws and the processing of personal data. These are activities that can be tracked and monitored via automation and ensure that the appropriate privacy management activities have been implemented and maintained on an on-going basis. This is then used as the foundation for continuous compliance supervision, supporting all requirements for data regulations, guaranteeing personal data confidentiality and providing all the tools necessary to manage claims, provide evidence and anticipate incidents. This digital approach to compliance is the most effective way of addressing GDPR and the perfect solution for midsized firms that aren’t used to managing such requirements. One of the most important elements of GDPR lies in data security, with any personal data breach having to be reported to the supervisory authority by the organisation that was breached. Privacy by design is essential, meaning that data protection must be in place at the outset to minimise the collection and processing of data. This is why we are partnering with an acknowledged data security expert for that functionality within OXIAL GDPR EXPRESS. Global Data Sentinel (GDS) is a New York-based leading cyber security solutions provider that is a long-standing partner of ours at OXIAL. We only work with the very best partners, and GDS is the perfect example of that. GDS is a cross-domain, zero-knowledge system, so all data within a network or cloud is stored encrypted, meaning even IT personnel cannot see it. GDS resides seamlessly inside in an organisation’s existing network, securing data from the get-go. This is vital to meeting GDPR requirements around data security and another reason why OXIAL GDPR EXPRESS could be an essential tool for midsized firms in 2018. People should not get too fixated on 25 May 2018 either. Compliance does not begin and end on a fixed date and 25 May 2018 is really only the starting point for a new on-going compliance requirement. 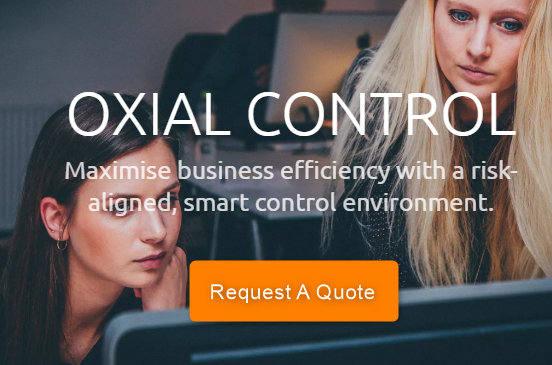 Compliance is an on-going process and should be managed as such – thanks to the OXIAL GDPR EXPRESS solution, it now can be. More detail on OXIAL GDPR EXPRESS solution can be found here, or if you would like to hear more from us directly as to how it can help with your organisation’s GDPR, please get in touch here.